Lived c. 190 BC – c. 120 BC. Hipparchus was one of antiquity’s greatest scientists. A Greek mathematician and astronomer, he measured the earth-moon distance accurately, founded the mathematical discipline of trigonometry, and his combinatorics work was unequalled until 1870. Hipparchus discovered the precession of the equinoxes and observed the appearance of a new star – a nova. He suspected stars might move slowly with respect to one another over great lengths of time; he hoped people living in the future could verify this. To this end he compiled a star catalog documenting the positions and magnitudes of over 850 stars. His legacy bore fruit almost two millennia later when, in 1718, Edmund Halley discovered the proper motion of stars. Hipparchus was born over 2,200 years ago. The year of his birth was about 190 BC and the place of his birth was the Ancient Greek city of Nicea. The ruins of the city can still be seen in the town of Iznik, Turkey. Hipparchus is sometimes known as Hipparchus of Nicea, reflecting his birthplace. He is also known as Hipparchus of Rhodes, because he seems to have lived and worked for much of his life on the Greek island of Rhodes. Very little of Hipparchus’s original work has survived. We know about some of his most important observations and discoveries, because other ancient scholars commented on them or used them in their own work. The great astronomer Ptolemy at times quoted Hipparchus word for word, so we can still read some of Hipparchus’s thoughts directly. We do not know for certain what Hipparchus looked like – we only have portrayals created long after his death. Nicea seems to have been proud of Hipparchus, placing his image on coins between 138 and 253 AD. This means the first coins honoring him were minted about 250 years after his death. If the coins offer a true likeness – but this is uncertain – Hipparchus can be seen in the image above. The first Greek scientists, such as Thales and Pythagoras, are believed to have been influenced by works from Egypt and Babylon. Alexander the Great conquered Egypt in 332 BC and Babylon in 331 BC. Following the conquests there was more mixing of Greek, Egyptian, and Babylonian cultures. Hipparchus adopted the Babylonian system of dividing a circle into 360 degrees and dividing each degree into 60 arc minutes. The system is so convenient that we still use it today! Trigonometry simplifies the mathematics of triangles, making astronomy calculations easier. Trigonometry was probably invented by Hipparchus, who compiled a table of the chords of angles and made them available to other scholars. Chords are closely related to sines. The moon shows a significant amount of parallax when viewed from different locations on the earth such as Egypt vs Greece. When you view something from a different location, it appears at a different place against the background. In this example, you keep your finger still and the different locations are your left eye versus your right eye. The finger’s fixed background is trees. For Hipparchus, the different locations were Greece and Egypt, while the stars provided the moon’s fixed background. When a heavenly body shows significant parallax, astronomers can use geometry to calculate its distance from the earth. Hipparchus found the earth-moon distance was 77 earth radii. In the style of a modern physicist, he gave bounds for his result – the minimum was 71 and the maximum 83. Hipparchus found the earth-moon distance was 671⁄3 earth radii. His bounds were: minimum 62, maximum 722⁄3. Hipparchus knew these measurements were rather far apart, but nevertheless reported them honestly. According to both Theon of Smyrna and Cleomedes, Hipparchus later refined some of his data including placing the sun considerably farther from the earth than he had first estimated. Using these new figures, Hipparchus found an earth-moon distance of 601⁄2 or 61 earth radii. The modern value is 60 earth radii. Eratosthenes had already calculated the earth’s radius accurately, so over 2,000 years ago, in an awe inspiring triumph of human intellect, Greek astronomers knew quite accurately the size of our planet and how far the moon is from us. To make an accurate, consistent calendar, we need to know how long the tropical year is – the exact amount of time between one summer solstice and the next one. This is difficult to measure accurately. Hipparchus made careful observations and got a better value than anyone before him. His final figure was only 6 minutes too high. Combinatorics is an important branch of mathematics; it deals with how many ways there are of arranging things. It is needed in many fields including computer science, statistical physics, probability, and pure mathematics. Alternatively, you could take a branching tree approach to the same problem, shown here again for 4 statements. There are 11 ways of arranging 4 statements. 5 statements can be arranged in 45 ways, and so on until you reach 10 statements, and these can be arranged in 103,049 ways. Hipparchus’s calculations were very advanced. It took until 1870 until Ernst Schröder rediscovered the numbers. We came to know about Hipparchus’s advanced work in combinatorics only because of a comment Plutarch made in a book three centuries later, followed by the more recent insights of modern scholars. One can only speculate about how many other Ancient Greek achievements are unknown to us. Our planet wobbles as it spins, like a fading spinning top. This is called precession. You can see the effect of the earth’s precession in the image on the left. Over a period of time our geographic North Pole (and anywhere else on Earth you look upward from) points to a different place in space. 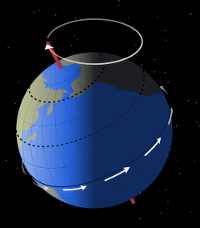 To complete a precession cycle, so that the North Pole points to the same place in space again, takes about 26,000 years. This means the rate of Earth’s precession is about 1 degree every 72 years or 1.4 degrees per century. 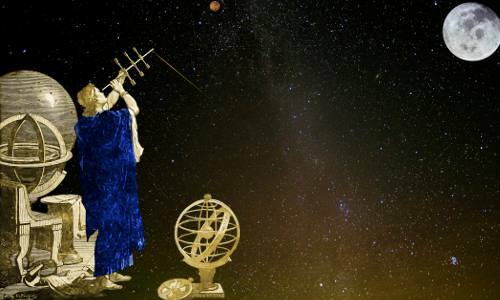 Hipparchus was the first person to record the earth’s precession. He did this by noting the precise locations stars rose and set during equinoxes – the twice yearly dates when night length and day length are exactly 12 hours. He compared his data with observations made by an earlier Greek astronomer, Timoarchus, about 160 years earlier. He noticed that as the years went by the stars were rising and setting in slightly different locations. He said that the rate of precession was at least 1 degree per century – a pretty good first approximation. Given that most Greeks thought the earth did not move, Hipparchus probably did not believe the earth’s orientation in space was changing: he would have thought the heavens were slowly realigning. In 134 BC, observing the night sky from the island of Rhodes, Hipparchus discovered a new star. He knew the night sky well, so he could be sure the star had never been seen before. 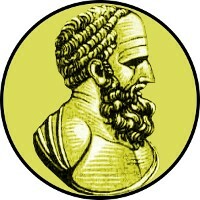 Hipparchus completed a star catalog of about 850 stars in 130 BC. He also constructed a celestial globe, showing the constellations and stars arranged on a sphere. In his catalog he specified the positions of stars and recorded their relative brightness (magnitude) on a 1 to 6 scale, where 6 is barely visible and 1 is very bright. Astronomers today continue to use a similar system for star magnitudes. Hipparchus’s original catalog no longer exists. Ptolemy relied on it heavily when he compiled a larger catalog in his Almagest 300 years later. Ptolemy probably copied most of his catalog from Hipparchus’s, updating it to take precession into account. Pliny the Elder wrote in 79 AD that Hipparchus suspected the fixed stars were not as fixed as other people thought. After all, Hipparchus had seen a new star appear from nowhere. He had also discovered precession of about 1 degree a century. Hipparchus began to wonder if the ‘fixed’ stars might move relative to one another. If they did, constellations would slowly change their shapes. He hoped that his star catalog would help future astronomers discover if this were true. Today, of course, we know it is true – it is called the proper motion of stars. Proper motion was discovered by Edmund Halley in 1718 when he observed that the stars Sirius, Arcturus, and Aldebaran had moved compared to their positions in Ptolemy’s catalog. The movement was independent of precession. Evolution of the Big Dipper constellation caused by the proper motion of stars. The Ancient Greeks believed strongly in the perfection of the heavens, the perfection of the circle, and the perfection of the sphere. When considering the movements of heavenly bodies, such as the moon and the sun, they thought only in terms of circular motion. Their belief system was probably reinforced by their method of calculation. They used Euclid’s tools of compass and ruler as tools for calculation. This is ideal for solving problems based on circles, but not for other curves. Today, thanks to Johannes Kepler, we know the orbits of planets and moons are not circles – they are ellipses – rather like squashed circles. Some elliptical orbits have very low eccentricity, meaning they are almost circular. Others have much higher eccentricity, meaning they are very squashed. A comet in a highly eccentric elliptical orbit of the sun. 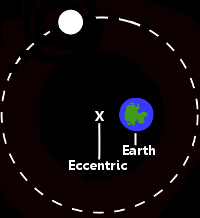 The earth’s orbit has lower eccentricity. Hipparchus sought to explain the sun and the moon’s movements mathematically using only circles. The moon’s orbit is particularly eccentric, so Hipparchus was always going to have trouble! 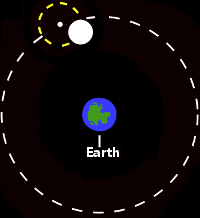 When we observe the moon over the course of a year, we notice that its size changes indicating that its distance from the earth varies. Also, the rate at which the moon orbits the earth varies. It was impossible to harmonize these observations with a moon that follows a steady circular orbit centered upon the earth. Like any modern scientist, Hipparchus began by checking the literature. He discovered that Apollonius of Perga, a mathematician of high repute, had come up with two different ideas to resolve troublesome orbits. Apollonius proposed an imaginary point close to the earth for a body to orbit. This point is called the eccentric. The body orbits the eccentric rather than the earth. Apollonius also proposed the deferent and epicycle. A circle called the deferent (white dashes in image) is centered on the earth. An imaginary point (the small white dot) moves around the deferent. 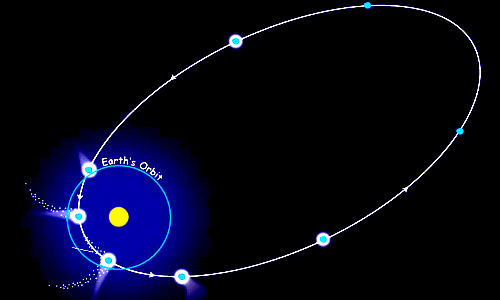 The body orbits the imaginary point, in a small orbit called the epicycle (yellow dashes in image). Although Apollonius had conceived of the eccentric, deferent, and epicycle as theoretical models, he never applied them in practice. Hipparchus did. He considered both models. By choosing appropriate values, he was moderately successful in matching the models to the sun and moon’s actual movements, and he produced excellent predictions for future eclipses. He also set the scene for Ptolemy’s famous planetary model described in the Almagest 300 years later. Very little is known about Hipparchus’s life other than his works. We do not know if he ever married or had children. 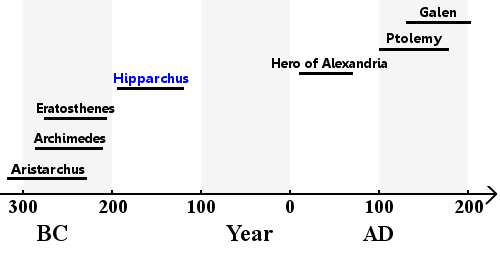 From observations made by him we can deduce he was in Alexandria in 146 BC and in Rhodes in 127 and 126 BC. We do not know when he died – other than it was after 126 BC. If he lived to be about 70, then he would have died in about the year 120 BC, possibly on the Greek island of Rhodes. Hi Riley, thanks for your kind words. I’m happy it helped you.